It is revealed that one T.M.R. Bangsa Jayah, brother-in-law of the Minister of Finance Ravi Karunanayake, has been appointed as the Managing Director (MD) of Sri Lanka Insurance Corporation. Bangsa Jayah has served as a Sergeant of Sri Lanka Police and is a brother of Minister Karunanayake’s wife Mela. He is tipped to receive a monthly salary of Rs. 600,000 as the MD. 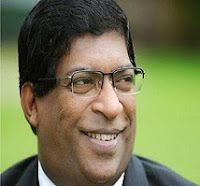 The Corporation is an institution coming under the purview of Karunanayake as the Finance Minister. 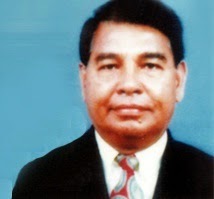 According to Sri Lanka Insurance website, (http://www.srilankainsurance.com/news/93.php), "Mr. T.M.R. Bangsa Jayah is a retired commissioned Police Officer, who has experience in the Police service for 29 years. During his career with the Police Department he worked as the Chief Security Officer for the Deputy Speaker and North-East Governor. He is a product of St.Anne’s College, Kurunegala and has studied further in Aquinas College, Colombo. During his school period he has excelled in sports including Cricket and Soccer. He is a member of School Cadetting Team and has held rank of Company Sergeant Major. After his schooling he has completed his First In Laws at the Law Faculty, Colombo. Mr. Bangsa Jayah has experience in construction industry for more than 15 years and he has been a principal partner in a well known piling company."